Charlotte Mason Says is our attempt to take the advice of veteran homeschooling parents and actually read the Home Education Series. We will be alternating between reading a chapter and discussing a chapter, starting the Parents and Children. 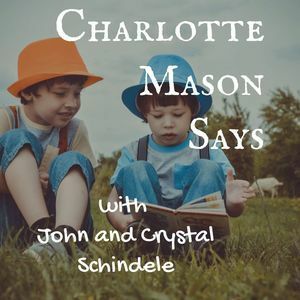 Charlotte Mason Says is a participant in the Amazon Services LLC Associates Program, an affiliate advertising program designed to provide a means for website owners to earn advertising fees by advertising and linking to amazon.com, audible.com, and any other website that may be affiliated with Amazon Service LLC Associates Program.